Where will you be tonight, this night of Valentine? See where PRESS will be: Spice Dragon in Pittsfield for One Billion Rising. We made this for the event. If you go tonight, you can take your FREE copy home with you. Music spinning until 9 pm. See you on the dance floor. 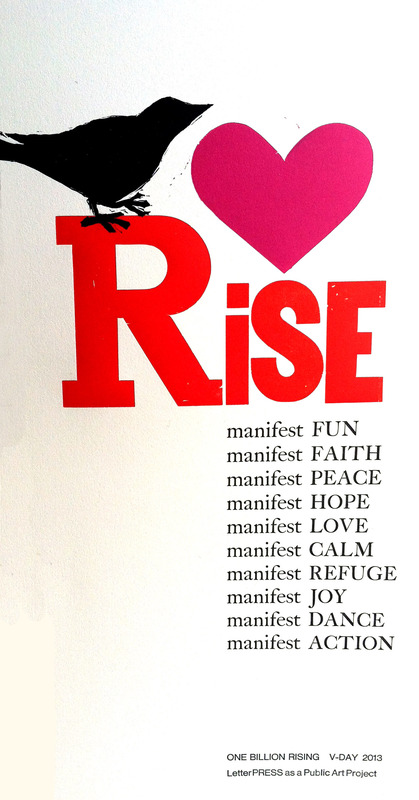 Tags: Manifest, one billion rising. Bookmark the permalink. Previous post ← DIY Valentine Workshop–Still on!